Tiffany joins brands including Cadbury, NASA, Toyota, The NY Times, H&M, and Samsung, many of which have millions of Google+ followers and all of which include Hangouts in their digital strategy. Hangouts on Air is the free, interactive HD video conferencing platform provided within Google+. It allows real-time interactivity with viewers and it can be automatically recorded to a connected YouTube channel where it can be edited, branded and search optimized. Nearly 2,000 people attended the live Hangout, which also included model Coco Rocha, Aimee Song of Song and Style and Elle fashion news director Anne Slowey. The Hangout used the Google+ Showcase app, which makes a Hangout shoppable by displaying clickable images, links, copy and more during the live event and in the recorded video. Tiffany gets huge props for running an ad in the NY Times to promote the Hangout, featuring it on Twitter, Facebook, Google+ and their website, and being brave enough to experiment with new technology. •	The Hangout had excellent lighting and sound. •	Multiple cameras switched between close ups and long shots in the Tiffany studio – mimicking more traditional news interviews. •	Coco Rocha and Aimee Song both had good lighting and clear sound, making it apparent that professional help had been sought for the Hangout setup. • The jewelry collection is gorgeous! •	Showcase app: Most unfortunately, using the Showcase app effectively cuts off real-time interaction with guests – the thing that most distinguishes Hangouts from all other video platforms. Hangouts’ Q&A app and the third party Comment Tracker app both allow viewers to ask questions during the live event. However, neither of those options is possible when Showcase app is employed – effectively defeating the purpose of a live, interactive online event. There are rather complex workarounds to allow people to simultaneously view and comment on the event page, but those are a lot to ask of casual viewers. 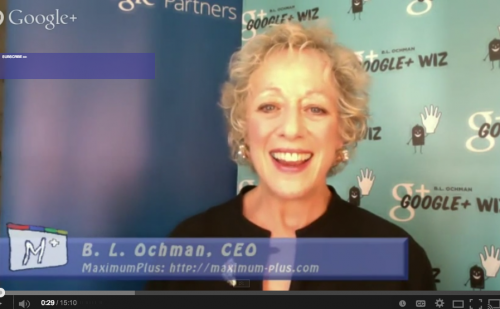 •	No Lower Thirds: Participants in the Hangout didn’t use Lower Third nametags, which Hangouts provides. Lower Thirds can be created to automatically transpose each participant’s name onto the video screen while he or she is speaking. 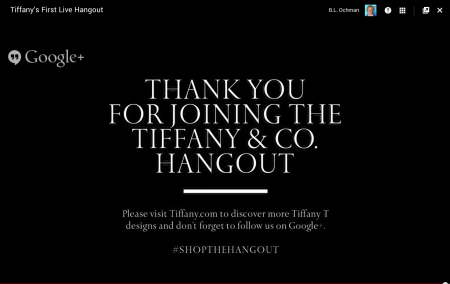 All in all, Tiffany’s Hangout today was a giant step forward for the adoption of the Hangout platform by big brands. 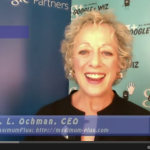 As a Google+ coach and Hangout event producer, I congratulate Tiffany and welcome other big brands into the Hangout platform. On Wednesday, Oct 22, from 3-4 pm EDT, I am producing and hosting a live Hangout on Air with the social media manager of NASA, the social media editor of the NY Times. Guests also include Ronnie Bincer, The Hangout Helper and Natan Edelsburg of Muck Rack. The Hangout is sponsored by PRSA NY as part of Communication Week.